Customers now expect retailers to offer Omnichannel capabilities and if you cannot deliver, they may go elsewhere. So how do you implement your omnichannel strategy successfully and avoid the pitfalls that have affected many retailers? This presentation highlights how Openbravo Commerce Cloud helps unlock the agility and innovation it takes to embrace omnichannel in your retail operations with robust POS and Retail Management capabilities and a cost-effective, reliable and scalable cloud-based platform. 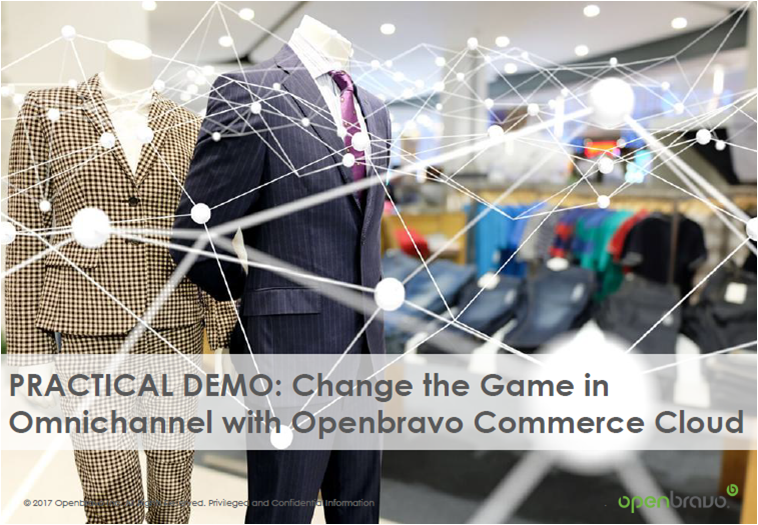 It accompanies a Practical Demonstration of how Openbravo's highly flexible, cloud- and mobile-enabled solution can be used to execute four essential omnichannel scenarios - including Buy Online Pickup in Store (BOPIS), Buy Online Return in Store (BORIS) - that help boost customer satisfaction and maximize profit margins.